Most people have an old RC controller lying around which most likely belonged to an RC car which hit one too many walls or that RC plane you bought and flew into a tree after five minutes. 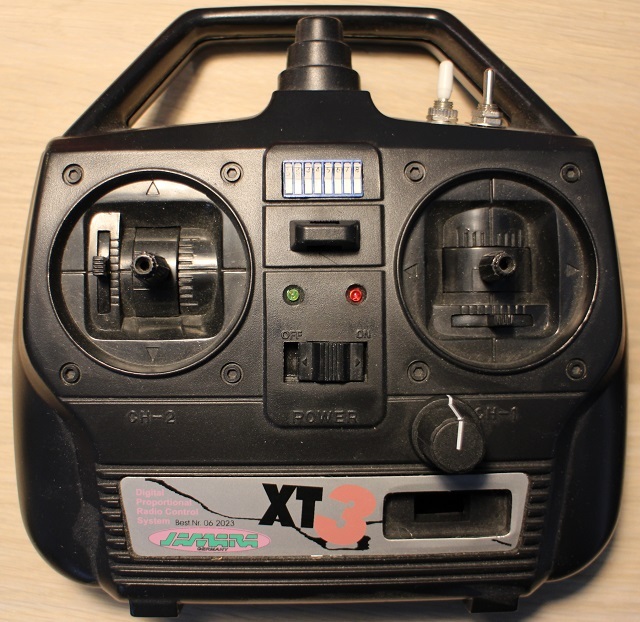 This section will explain howÂ I converted an old RCÂ controller from an RC plane for use with my RC farm and construction vehicles. As with all my conversions, the controller is based on an Arduino and I’m going to use an NRF24L01 radio module. You can easily modify the code to use a different radio like an XBee if youÂ prefer. The advantage to using an old RC controller as a base for your design is that they have nice joysticks and the frame of the controller is built to be comfortable in your hands. The disadvantage is that they don’t usually have enough controls for what you want but once you remove the old excessively large circuit board from inside the controller you’ll have plenty of space to add more buttons and switches. What to Remove? What to Keep?